The Dad of the Month is a monthly celebration of greatness in fatherhood. Nominate a dad below or check out past month’s winners. April 2019: now accepting nominations below! Do you know an amazing Dad who deserves recognition? Nominate him for DAD OF THE MONTH. Winner gets $500, The Dad gear, and a public shout out. How to nominate: Complete the form below! 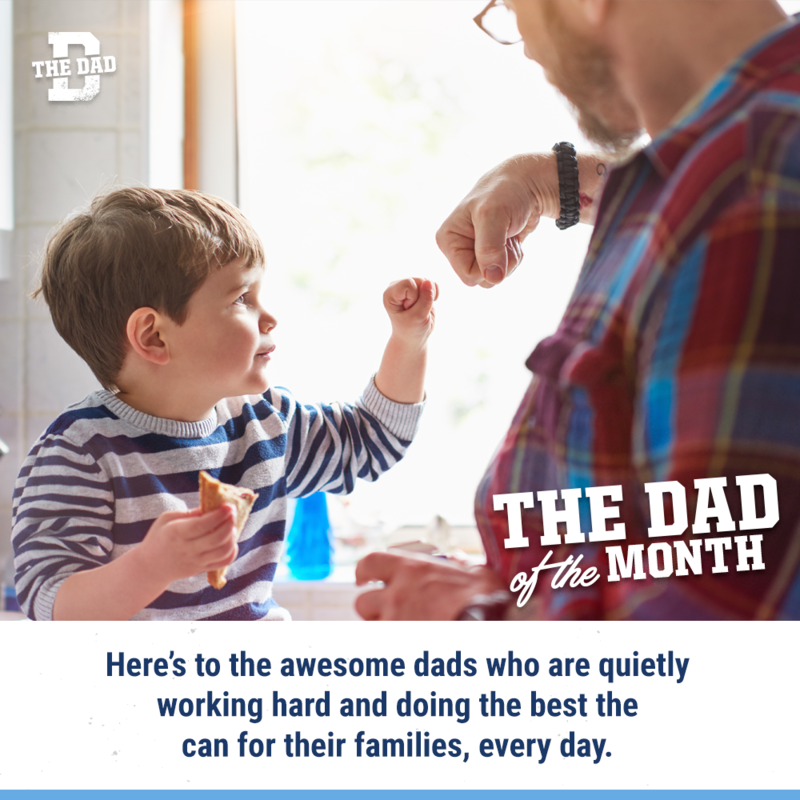 We will award a great dad each month. If you submit once, that submission will be good for each month going forward. So even if the dad doesn’t win the first month, it’s possible he could be recognized in a future month. We love celebrating fatherhood and building a positive community for modern parents. Let’s give a great dad some much deserved recognition.